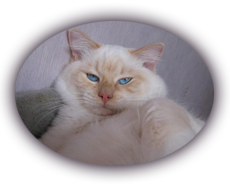 U can locate our ragdoll cattery in beveren-waas near Antwerp. Our ragdoll kittens grow up in a domestical environment. Our cats have their own place in the living room and have their own playroom where they can play as much as they want. The cats are used to daily family life. Besides our ragdolls we also have a dog, a shiba inu. All of our kittens are used to live alongside other animals. At this moment we have 8 ragdoll females, Reepicheep, Molleke, Rohini, Elu, Aiyana, Ce'Nedra, Tehya en Inari. We also have 6 males, Kapitein, Duvelke, Boris, Snowflake, Angel en Onyx. We also have a few neutered females and males like Zuvy, Minx, Nahima en Daemon. Occasionally one of our lady's will go for a visit with a male, keep an eye on our website to see if we are expecting kittens. All our cats are tested by DNA for HCM and are scanned for HCM and PKD. They are also tested for FeLV and F.I.V. As a cattery we are a member of Belcat. All our kittens are allowed to move to their new home when they are 16 weeks of age. They will receive a Belcat pedigree, will be chipped, 2x dewormed and neutered. All our kittens will also receive a nice kitten package with food and toys. U can come and admire our little ones starting when they reach the age of 8 weeks.